"Remapping Italy's Transnational Migrations and Colonial Legacies"
"Race, Democracy, and Inequality in the St. Louis Suburbs"
"The flexibility of my Miami courses allowed me to spend Spring 2016 semester at Hebrew University in Jerusalem to study intensive Hebrew. 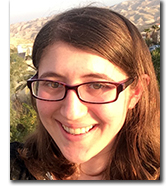 I fulfilled most of my classes for my Jewish Studies minor during this experience." Read what Emily said about her study abroad experience in Israel. The Jewish Studies program (JST), in the College of Arts and Science, provides an interdisciplinary minor and a thematic sequence. These are available to all Miami students. The minor offers students a variety of critical approaches to Jewish history, religion, thought, and culture from Ancient times to the present.